I'm sharing a new to me brand with you today, O My Jewels. Sophia and Billy partner to create beautiful polishes and run O My Jewels! They sent a few coordinating colors for me to review; and because they have different finishes, they're also perfect for nail art! I wore two coats with topcoat although, it didn't need top coat. 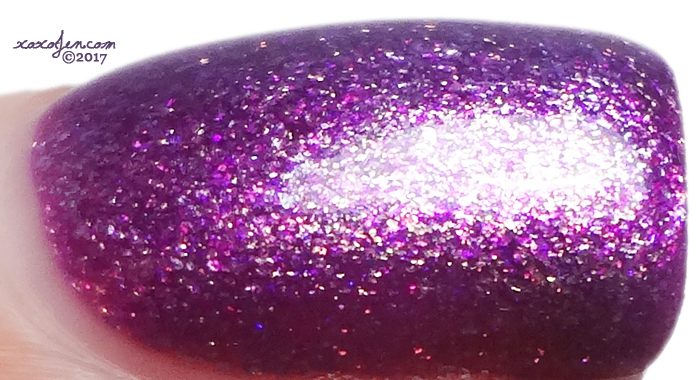 It was super glossy on it's own and has such a buttery smooth formula! A pretty raspberry shimmery shade that shifts with different lighting. 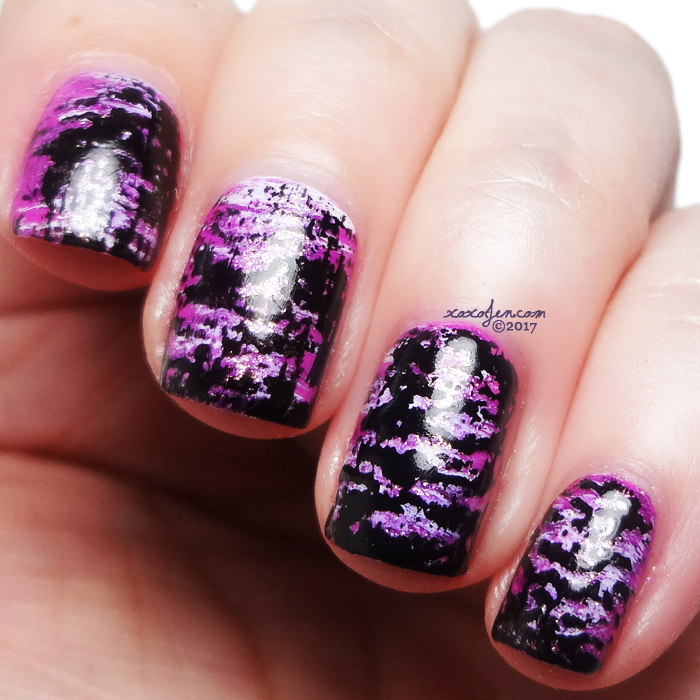 Again, super great formula and just two coats for opacity. 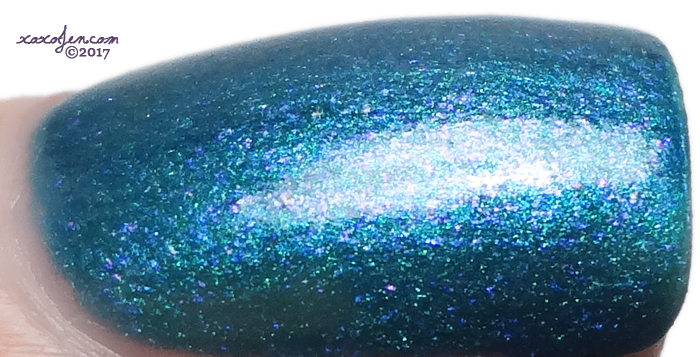 Purple mica shines through this aqua, blue - green shimmery dream. Its name definitely suits it! Looks just like a mermaid! Two coats is shown, formula was fantastic! The formula for this cream was just as awesome as the pink one. Buttery, creamy smooth and opaque in one coat, but shown with two here. I felt creative and decided to do a few nail art looks with these. First, is a look I created by using a fan brush with black and white polish over Love Junkie. The second look uses a sponged base of Love Junkie and Good Try with a black cream, and then stamped in white with a sunglasses design. 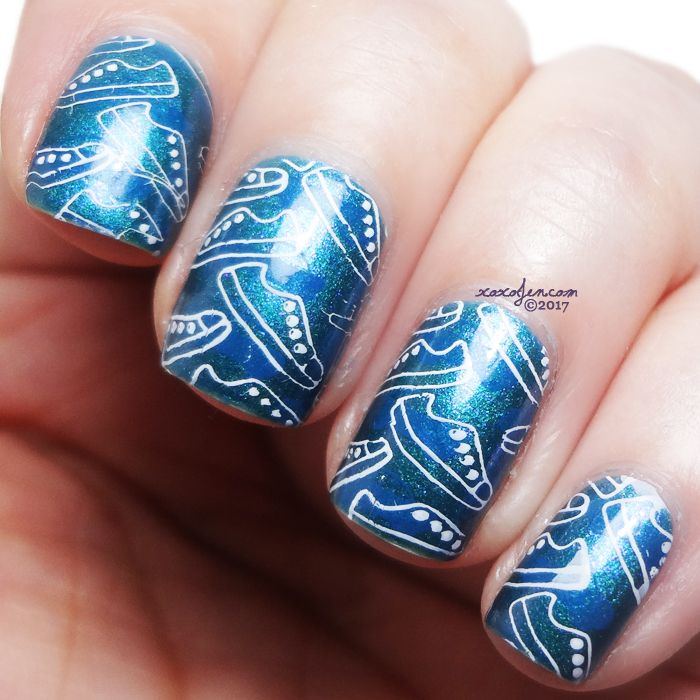 Last is a double stamped mani over Blue Heron. I used a car design to stamp with Mermaid Tales and then shoes in white. I've kind of got a summer travel theme going here! Overall, I'm pleased with my experience and the polishes from O My Jewels. Their polishes are wonderfully smooth and easy to apply. The shades are pretty and the variety in finish is fantastic across the board. 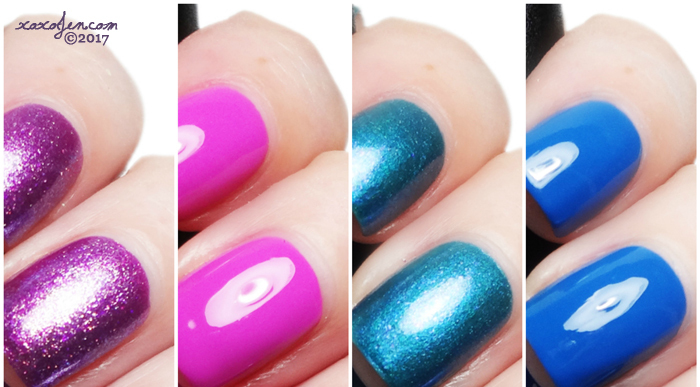 The above four polishes are available now, along with many other beauties at http://omyjewels.com/ Give them a visit, and snag a few of your own! Some nice pinks and blues. Love the nail art you created too.